Time to take a second look! Seller has installed new carpet. New Dishwasher has been installed. Ready to move in. First time home-buyer? Investor? Downsizing? RV parking? Lake View? 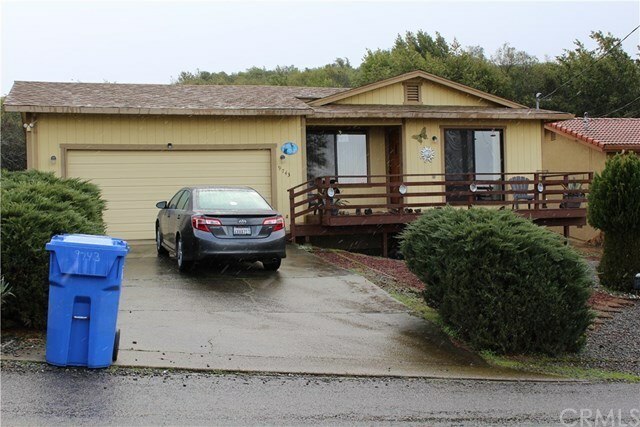 This is a must see home in Clearlake Riviera. 3 Bedrooms, 2 bathrooms, Large attached 2 car garage. Covered deck off Master Bedroom. Front deck with Lake View makes for lovely entry to this move-in ready home. Central Heat and air with Monitor heater. Ceiling fans throughout home for your comfort and energy savings. This home is close to shopping, restaurants, fire station, elementary school. Clearlake Riviera is ideally located between Clearlake and Lakeport with most shopping, hospitals and local government services. Great home...great location and great amenities. Directions: Soda Bay Road to Fairway. Turn up hill on Vista go to Marmot, proceed to address.